Not only are our cyber laws placing us at a tremendous advantage, but U.S. companies must also be held to a higher standard when it comes to doing business abroad. Today's headline WSJ story (front page, top of the fold) talks about criminal investigation of Oracle for dealings with Western and Central African countries. The handcuffs are called the Foreign Corrupt Practices Act (FCPA) of 1977. Tough to do business when everyone has his hand out. Kind of like my experience in Chicago circa 1973. Don't ask. Then in the early 1980s, I was sitting in a Washington, D.C. restaurant trying to do business with a high-ranking government official, who said, "We won't be doing business until I get my deal." Don't worry. We didn't do business. The Department of Justice has established a Foreign Corrupt Practices Act Opinion Procedure by which any U.S. company or national may request a statement of the Justice Department's present enforcement intentions under the anti-bribery provisions of the FCPA regarding any proposed business conduct. The details of the opinion procedure may be found at 28 CFR Part 80. Under this procedure, the Attorney General will issue an opinion in response to a specific inquiry from a person or firm within thirty days of the request. (The thirty-day period does not begin to run until the Department of Justice has received all the information it requires to issue the opinion.) Conduct for which the Department of Justice has issued an opinion stating that the conduct conforms with current enforcement policy will be entitled to a presumption, in any subsequent enforcement action, of conformity with the FCPA. Copies of releases issued regarding previous opinions are available on the Department of Justice's FCPA web site. I am particularly impressed with the 30-day fast-track (highlighted in red above). The "jailhouse lawyer" in me contends this could be a partial precedent for issuance of a cyber privateering confiscation effort. Or it could at least give a bonding authority the get-out-of-jail-free card to authorize a cyber-looting action. Too bad Oracle didn't obtain a DoJ opinion before trying to do business in Africa. Then again, maybe they did and it will come out as they're crafting their defense. Interestingly, if you want to look at previous FCPA opinions, click here. If you want a real knee-slapper, check out this link, where the U.S. Government got permission (wink-wink) to bribe (er, hire as a director) one or more representatives of a foreign government for a project. Hey Oracle, I hope your legal counsel is reading these things! Back in November, I wrote about Sprint excluding the Chinese company ZTE based largely on security concerns. Now, the WSJ has reported (again, on today's front page below the fold) that Lybian intelligence used ZTE gear to track down (and probably murder) rebels. Good job, Sprint! I might buy my next cellphone plan from you guys. To be fair to China, the French technology firm Amesys (part of Bull SA) installed the Libyan monitoring center. In the story, a small South African supplier (Vastech) refused to comment on their involvement, but said that they sell only "to governments that are internationally recognized by the UN. and are not subject to international sanctions. The relevant U.N., U.S. and EU rules are complied with." That should be swell consolation to the families of dissidents who got "disappeared" by Gadhafi intelligence goons. I'd like to see the names of all companies who contracted directly to supply Libyan cybercontrol systems. Maybe the dissidents who have retaken the Libyan data centers will take a close look at the file cabinets for signed contracts, which they will then make public. On August 19th, I suggested a justification to a hypothetical bonding authority—such as Lloyd's of London—authorizing the looting of Russian Federation banking assets by licensed and bonded cyber privateers. Here is the beginning of a similar "Chinese smoking gun," proof that China is involved in state-sponsored cyber attacks. 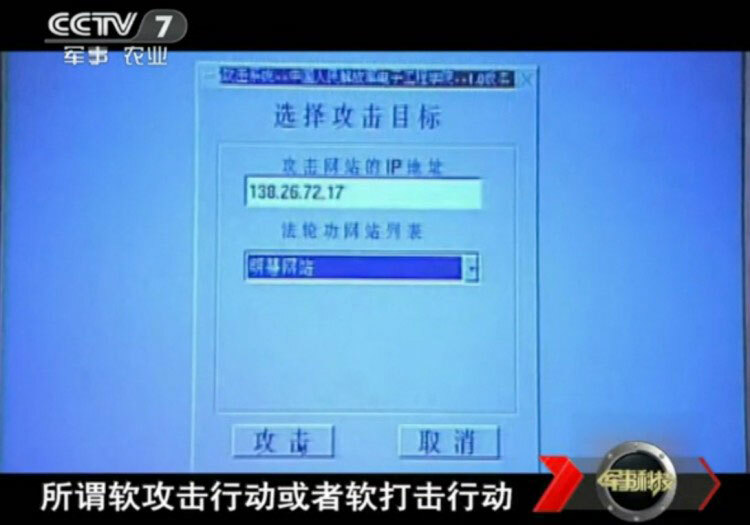 The following screen shot was taken from a Chinese TV ad run in July, and the newspaper translates the labels in the image as "Select attack target" from a pull-down list of Falun Gong sites. 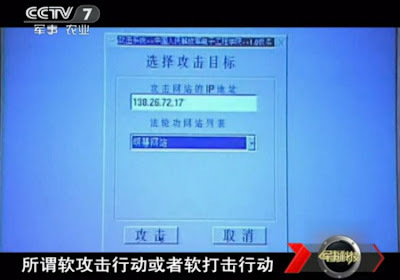 That’s because The Epoch Times says the video identifies the software as being written by the Electrical Engineering University of the People’s Liberation Army, while the IP address the video shows as originating the attack, 138.26.72.17, resolves to the University of Alabama at Birmingham. The university told the newspaper that the address has not been used since 2010, and it believes its network has not been compromised. While the video may have been seen as propaganda claiming a capability that didn't actually exist, the government-run TV channel CCTV7 has since removed the original video from its Website and replaced it with a more generic slot, leading F-Secure's Mikko Hypponen to agree with the newspaper that the footage is genuine, and was included in the original footage by mistake. China has consistently denied launching state-sponsored attacks against international targets (as has practically every government accused of espionage of any kind). Part of the video ad can be seen on the F-Secure website by clicking here. Within hours of my Saturday prediction based upon "data exhaust" that there would likely be an E-petition submitted to U.K. Gov to legalize cyber privateering for the protection of individuals and governments around the world, I received notification that two different U.K. citizens were moving theirs ahead. I will report to you when the Cyber Privteering E-petition goes live. I'll also write at some length about the irony of the U.K. leading this effort. Given that the U.S. Revolutionary war was substantially financed an won by high-sea privateers preying on British shipping, wouldn't it be ironic if our war against cyber crime and waging of world cyberwar were to be led by licensed and bonded British cyber privateers? Stay tuned. Does the following Network World quote (about China's being hit with 480,000 trojan horse attacks in 2010) raise any questions about the veracity of their claim? Read it again. Any questions? Okay, now compare this to all the anti-American signs you see during riots and demonstrations in the Middle East. Notice that those signs written in English, rather than Urdu or Arabic, etc. Definitely intended for consumption by American media. Finally, consider the Russian acronyms: KGB and GRU. We know what those organizations do, thanks to a wealth of spy fiction from the likes of Tom Clancy and Robert Ludlum. KGB stands for Komitet Gosudarstvennoy Bezopasnosti, or Committee for State Security. Similarly, GRU stands for Glavnoye Razvedyvatel'noye Upravleniye, or Main Intelligence Directorate. These are Russian terms that do not translate directly into their literal English acronyms. Now, read the Network World paragraph again. Does it seem strange that the acronym CNCERT is for English-language consumption and quite literally stands for China's National Computer Network Emergency Response Technical Team? Even the Russians, another major haven for cyber crime and cyber espionage, aren't this stupid or patently transparent. Sorry China, but I'm still waiting for an explanation of the IP addresses I previously published on November 11th of last year identifying the Chinese attack servers hitting my Linux systems. I’ve known Larry Ellison for almost 30 years. Since this meeting of the Utah Technology Council is predominantly attended by Mormons, I wanted to share an audience-specific insight to your keynote speaker. Mike Wilson wrote the best-selling book The Difference Between God And Larry Ellison * — with an asterisk after the title explained at the bottom of the page: “God Doesn’t Think He’s Larry Ellison.” You’ll better understand the religious overtones of the title once you realize that Mike Wilson was the religion editor for the St. Petersburg Times. 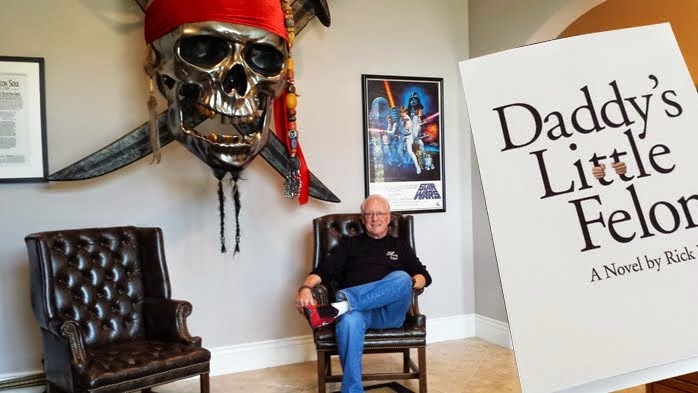 I spent several hours being interviewed by Mr. Wilson as he wrote the book. He understood that I was a Mormon, and I shared with him my personal opinion—I had to make sure Mike knew I was in no way speaking for the whole Church—and only my personal opinion, that Larry Ellison was the fulfillment of Old Testament prophecy. You can see exactly what Mike wrote on page 172 of the book. He never got past the “redeem the dead” part of our three-fold mission on the planet, and therefore never asked about the biblical backup, so I never got to tell the whole story. But I’m going to tell you, now. I introduce to you the man whose vision and persistence and dedication have saved the earth from destruction. I present to you, Lawrence J. Ellison. 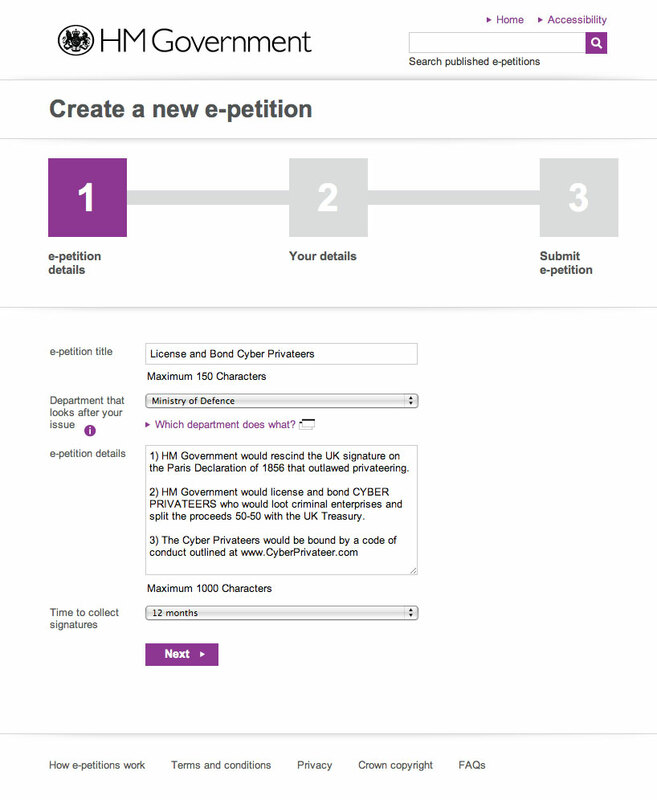 Yesterday I put out a call for one of my U.K. readers to submit an E-petition to HM Government that would legalize (legalise to you Brits) cyber privateering. I said I'd come up with a swell prize for the first person that enters the E-petition. And a "sweller" prize if we get the 100,000 signatures necessary for the measure to be debated in The House of Commons. Well, the prize for the U.K. citizen who initiates the E-petition will be a signed hard-cover copy of my novel Destroying Angel . In fact, chaps, I'll even pay for shipping and handling anywhere in the world. You computer wizards will especially like one of my characters named Black Madonna. She's a computer genius who speaks only in palindromes (sentences that read the same backward as they do forward). Black Madonna writes a computer virus that achieves consciousness and takes over the Internet. As an author, the reason I created this character and have her speak only in palindromes is that I wanted to "suspend desbelief" by showing how innately smart she was. It took me twenty years to write the novel, because sometimes one line of dialogue would take me and a pair of computers an entire week to craft. After all, I couldn't cheat. For example, when she is trying to complement a person with whom she is chatting online, and yet warn him of danger, she writes: "Part Allah, eh? The hall a trap!" Like I say, sometimes a single line of dialogue took a week to write. Here ya go. Cover price of $30, with all postage and shipping paid. Of course, you can get it directly from Amazon new for a mere $22.80. Or used for $2.51. But if you create the E-petition, I'll sign it and personalize the message. Truly a collector's item, if you have a sense of history. 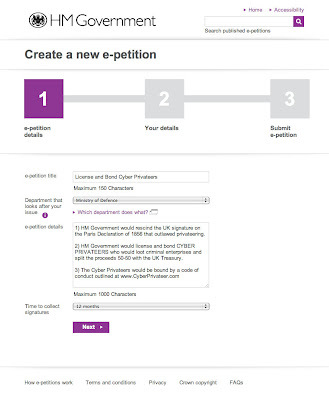 I'm still working on a SPECTACULAR prize to the E-petition initiator should your submission achieve 100,000 signatures and get debated in The House of Commons. Suggestions for such a prize would be welcomed. HM Government must rescind the UK signature on the Paris Declaration of 1856 that outlawed privateering (which I assume could be applied to cyber privateering, too). HM Government would license and bond CYBER PRIVATEERS who would loot criminal enterprises and split the proceeds 50-50 with the UK Treasury. The CYBER PRIVATEERS would be bound by "The Cyber Privateer Code" of conduct outlined at www.CyberPrivateer.com. My "gut" tells me this would be a "Ministry of Defence" initiative, although they'd have to work closely with Treasury. The benefits of a first-mover advantage to the U.K. would be enormous, and you are free to use the entirety of this blog to fuel the debate. I'd like to come up with some swell prize to the first of you Brits who enter the petition, and an even "sweller" prize if we manage to land 100,000 signatures and the issue is debated in The House of Commons. In a story I reported earlier this week, virtually every major company infrastructure has been compromised by (probably) Chinese intelligence operatives. No surprise. In November of last year, I published the IP addresses of the Chinese attack servers that declared war on MY little Linux honey pots. And while I criticized McAfee for watching the attack logs of one Chinese command and control system since 2006 and yet doing nothing about it, they did at least cooperate with Seculert, who will tell you if your infrastructure IP addresses have shown up on the Chinese command and control log. The Computerworld story is here. To see if your system has been compromised, click here. You may want to check all your company IP addresses at the preceding link. If you're with Microsoft, Sony, IBM, Oracle, or PG&E, don't bother. You've been penetrated. China even responded, saying in its official People's Daily newspaper on Friday that linking every cyberattack to the country is "irresponsible." If you parse the statement carefully, it must have been written by a diplomat. No guys, we're not linking every cyberattack to you. Just the ones that show up in this command and control log file. Plus the IP addresses I reported above of Chinese servers attacking me, personally. Plus my second-ever article reporting how you stole the Joint Strike Fighter plans from Lockheed. Plus yesterday's post on your involvement in the RSA certificate heist. Not to mention my posts on China as "the usual suspects." So no, you're not in on every cyberattack. But until you start acting responsibly on the international cyberstage, you'll continue to entertain the world with your carefully worded denials. And for your information, no one has ever rebutted my publishing the IP addresses of your stinking attack servers. If anybody in the U.S. Congress ever wakes up and lets my licensed and bonded cyber privateers loose, I'll be sure they leave a calling card starting with those IP addresses. You can take that to the bank. I know I will. A year ago I figured it was only a matter of time before "the bad guys" figured out that Twitter was the ideal command and control dashboard for cyberwar. Well, that train has left the station, big time. We now have a twitter-controlled botnet. No wonder the Pentagon is forking up $42 million to focus on Twitter. On March 28th I wrote that a supposed Iranian "student" took responsibility for the RSA certificate heist. 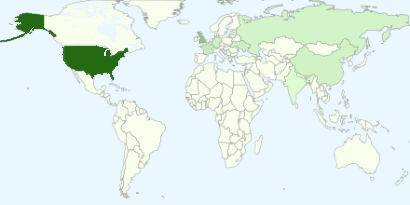 The referenced Pastebin.com bragging might well have been a bit of Chinese misdirection, based upon today's revelation from John Stewart at Dell SecureWorks tracing the command and control of that penetration to…yep…the usual suspect: China. As I commented on July 7th, attribution is a key component of cyber retaliation. I now reiterate that our current cybercrime laws tie our hands and make it impossible to do "aggressive back tracing" on attacks. Some wonker claimed to be an Iranian student when he took credit for the RSA cyber exploit. It took over four months to come up with a much more likely culprit. It doesn't need to be this way. "I am convinced that every company in every conceivable industry with significant size and valuable intellectual property and trade secrets has been compromised (or will be shortly), with the great majority of the victims rarely discovering the intrusion or its impact," said Alperovitch. "In fact, I divide the entire set of Fortune Global 2000 firms into two categories: those that know they've been compromised and those that don't yet know." Alperovitch says McAfee "gained access to one specific Command & Control server used by the intruders," and began gathering log-based evidence in mid-2006 (though noting the attacks could have begun earlier). So my question to McAfee is rather obvious. You guys have watched "one specific operation" steal "petabytes of data" in 2009, why in blazes didn't you work with NSA or DoD to launch your own virus countermeasures and shut the operation down? Either we were too politically stupid to act, or too technologically stupid the be able to act. Or both. ZDNet's headline today: "Has the United States already suffered its cyberwar Pearl Harbor?" My own headline is closer to reality, since the U.S. is not smoking in a pit of blown computers and SCADA utility meltdowns: "Since 2009, McAfee has watched a foreign government steal petabytes of data (logs going back to 2006) and did nothing about it?" Where the heck is Jack Bauer when we need him. First, the geniuses at the FBI publicly ask Silicon Valley software execs to build back doors into the technology we export worldwide. Now, the DHS (Department of Homeland Security, which should be know as "Departure of Homeland Security") let it slip that we're scrapping plans to scan incoming cargo containers for nukes. Hopefully this is simple misdirection. BTW, the URL www.JackBauerInABox.com is available! One question, though, has to do with the overall strategy of basing nuke scanners in the ports. Shouldn't we be scanning cargo ships on the high seas, before they can come into port? Seriously, doesn't letting a nuke get all the way into a major port kind of defeat the purpose of a port-based scanner? My own preference would be to fly over inbound sea lanes with an airborne scanner. That would give us time to stop and board suspect cargo ships before they came anywhere near major infrastructure assets. Well, it's a good thing DHS isn't responsible for our cyber threat protection. Oops. Wait. DHS is kind of the overall intelligence umbrella. Awh heck!